Effective today, Delta passengers will have two options when flying a pet. Allowable pets can fly in all cabins of service (except international business and international Delta One) or as freight through Delta Cargo. As announced last November, there is one notable exception: Members of the U.S. military and U.S. State Department Foreign Service personnel with active move or change of assignment orders will be allowed to transport a pet as checked baggage. 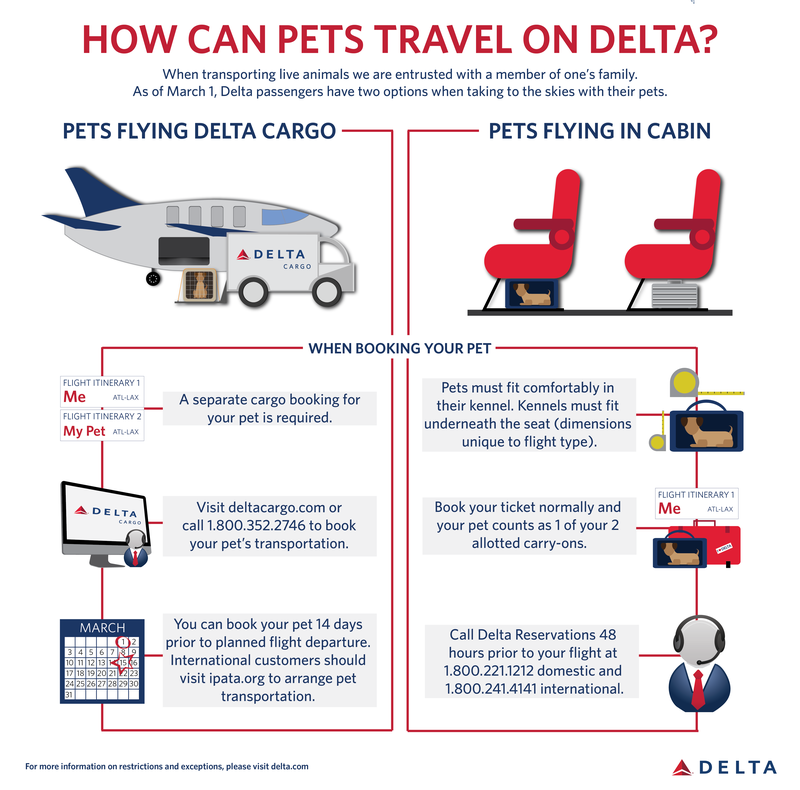 Guidance for customers traveling with pets can be found at Delta.com and DeltaCargo.com.